At the beginning of the New Year, our creative team was keen to approach “Joseph and the Amazing Technicolor Dreamcoat” with a fresh outlook, making it both interesting and generally a bit more unpredictable to our audiences. 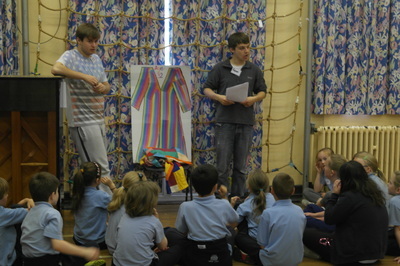 While doing so they learned how appropriate the material was for work-shopping with young children. Already having links to local schools, we began by enquiring about general interest in what we planned to do, and soon developed a workshop guide, plan and teachers follow on package which we sent to schools before they booked us. 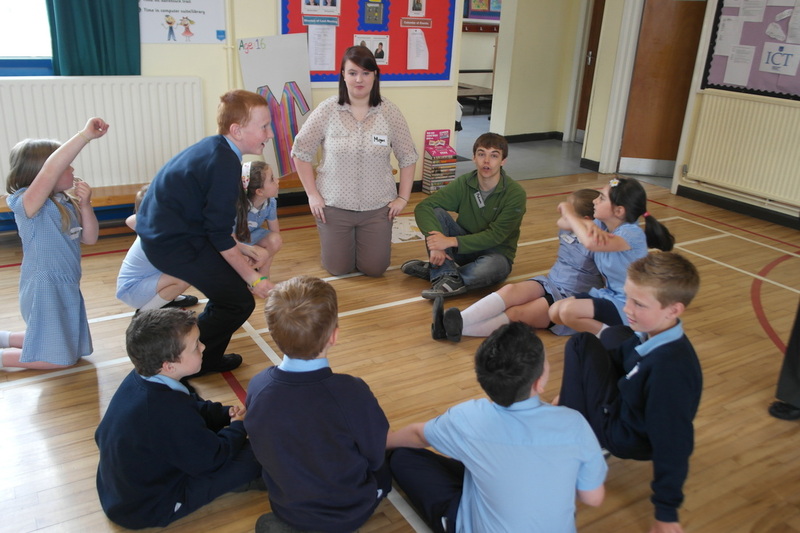 We ran our workshops free of charge in order to encourage as many schools and young people to take part as possible. 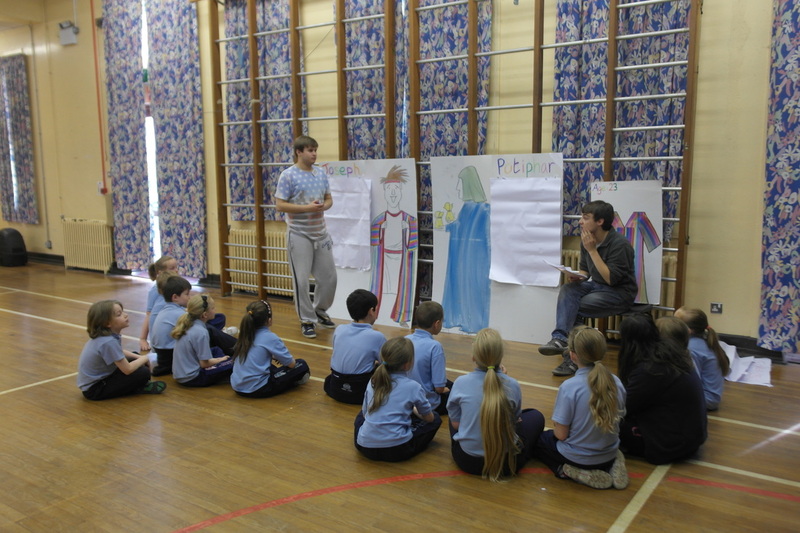 Thankfully this worked to our advantage as many schools placed bookings and we ran our workshops with close to 500 local school children. 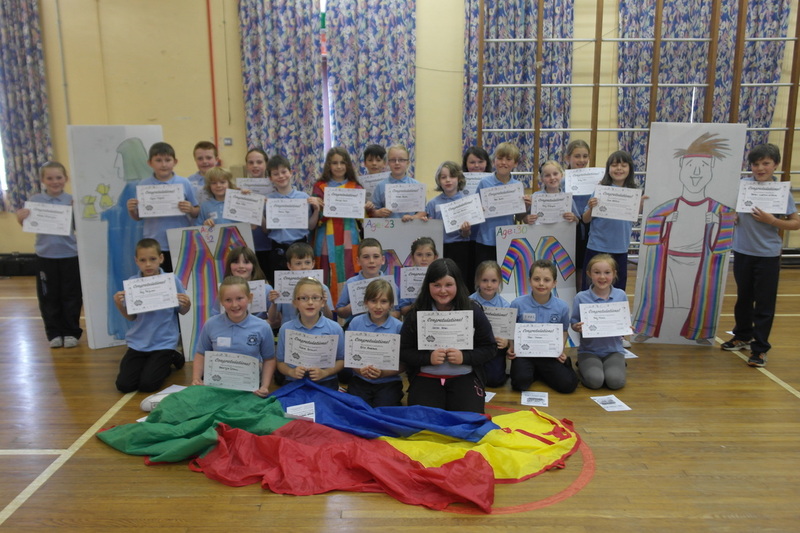 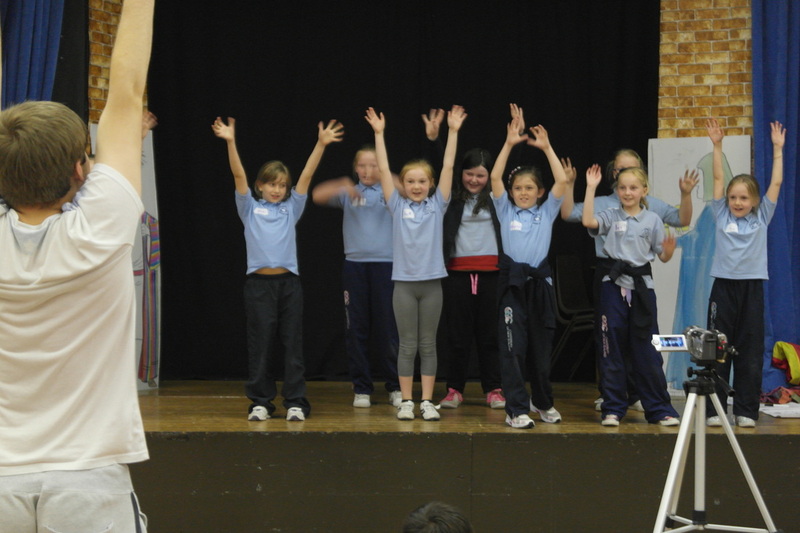 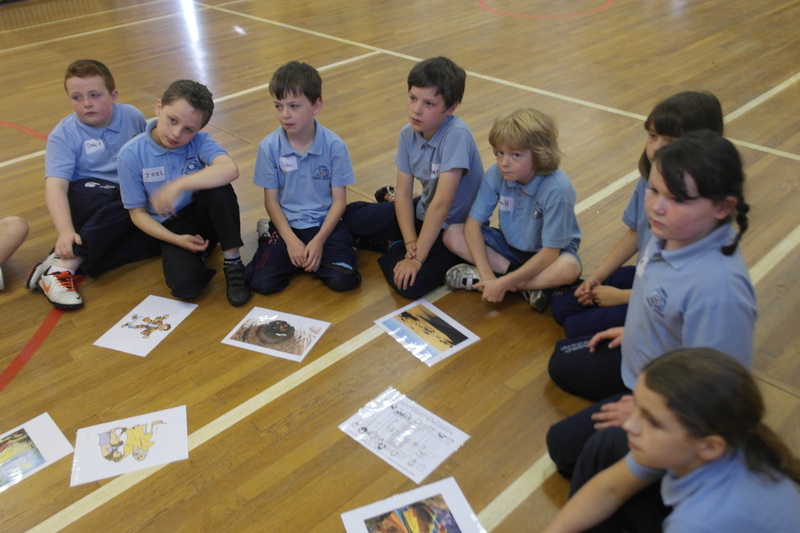 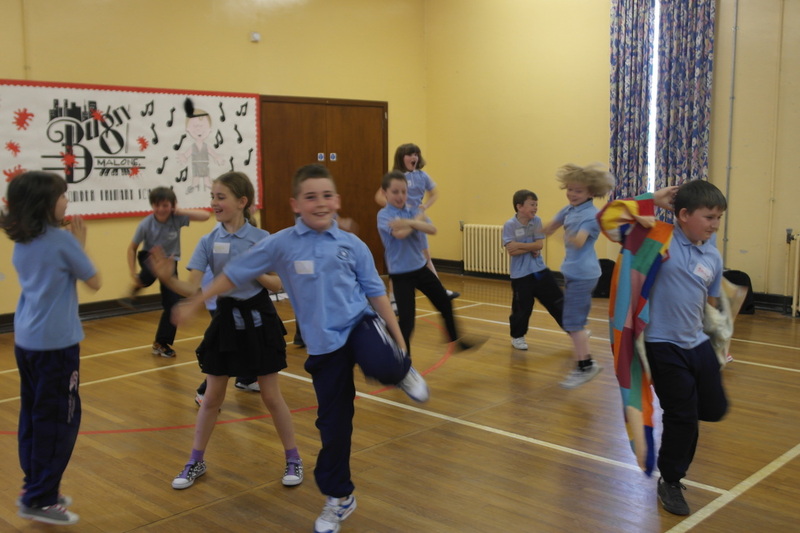 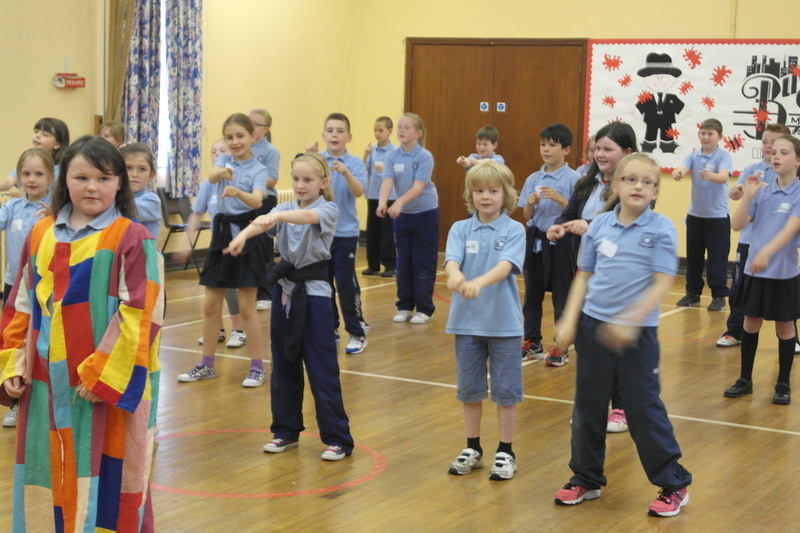 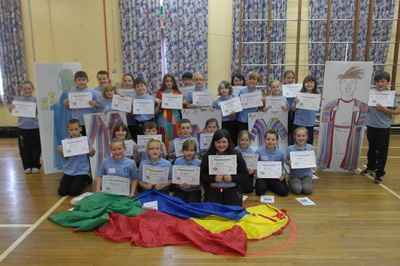 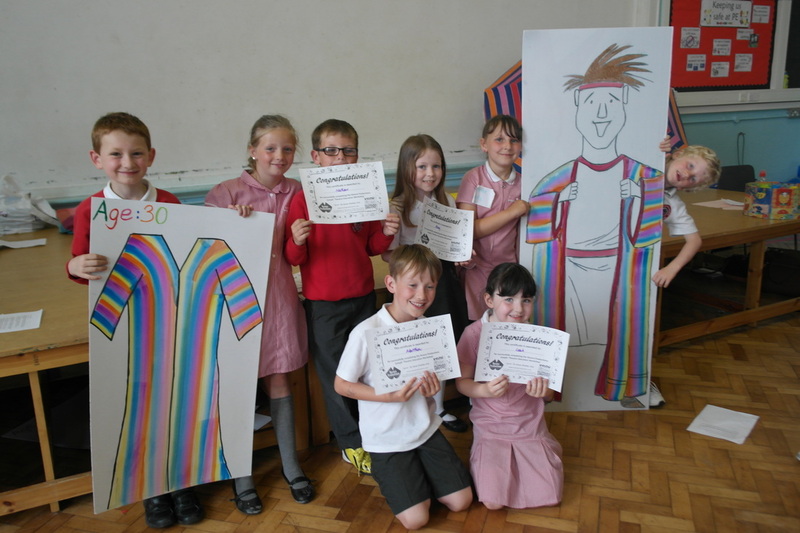 Our Joseph workshops had two options; a drama education package and a school choir package. We were delighted to run both options, with some schools asking for both to take place, and others booking full days with a number of classes. 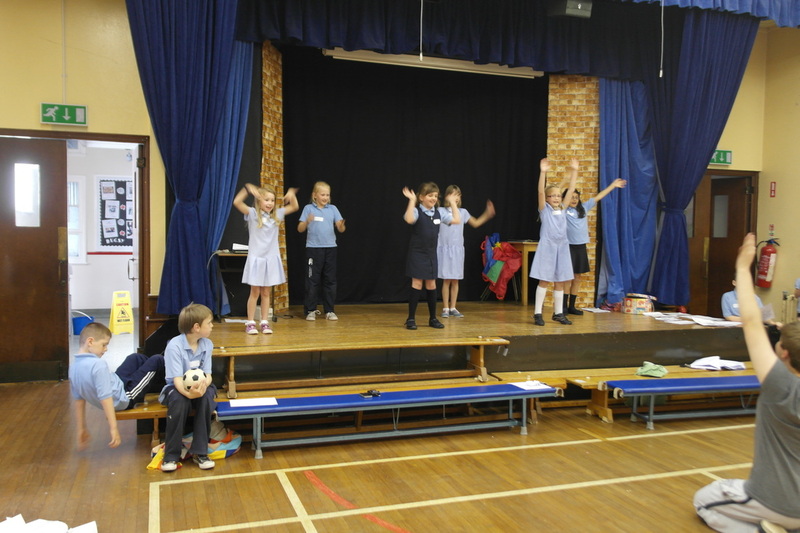 The drama education workshop took place with a minimum of four facilitators, while the teacher also remained present with the class. Generally the workshops lasted 2½ hours, depending on the school and class requirements. The session began with ice breakers, confidence builders and improvisation, all of which went down a storm with the P3-P5 age groups. The class then got divided down into smaller groups were they went on a pilgrimage style timeline session. The timeline took the groups on a journey through the narrative of the musical, with different activities at each session. 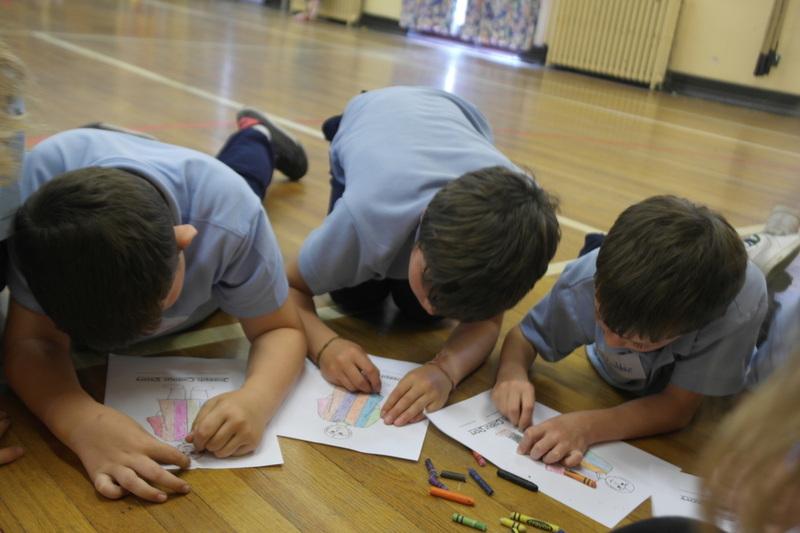 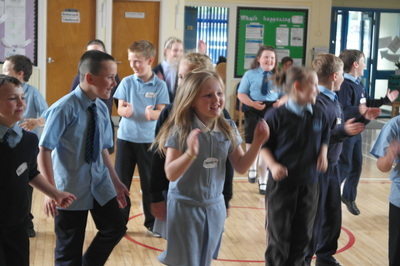 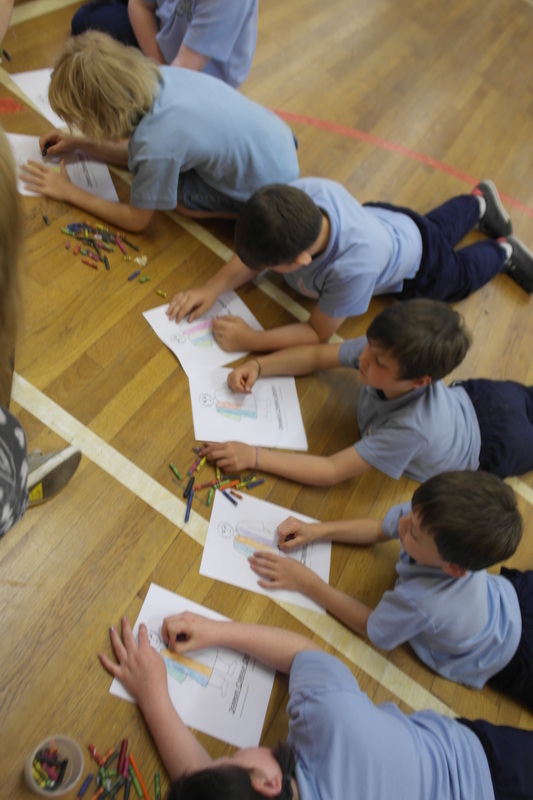 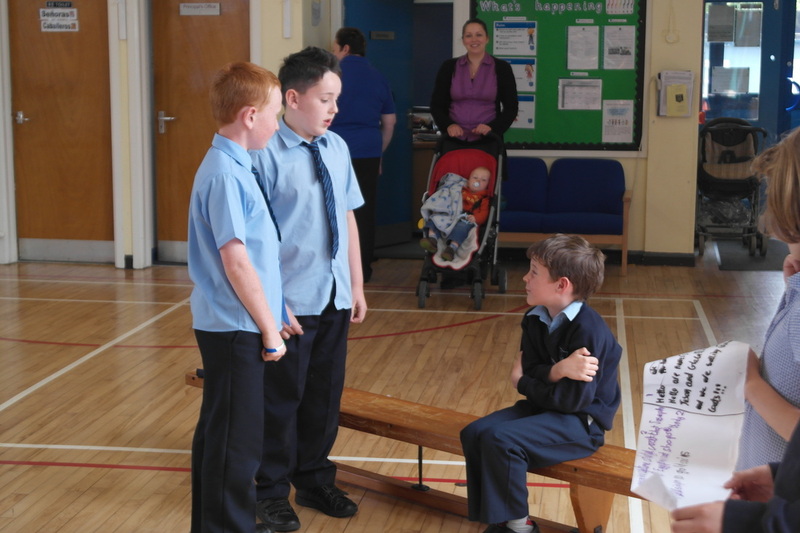 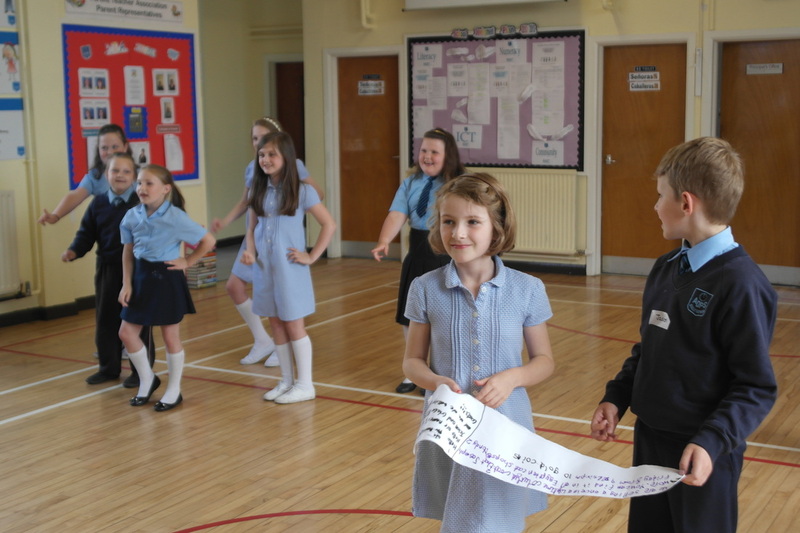 The children were actively engaged through activities such as Conscience Alley, Colour and Story association and emotion exploration, to name a few. 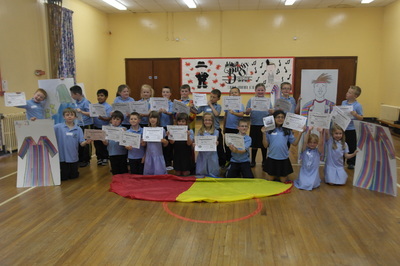 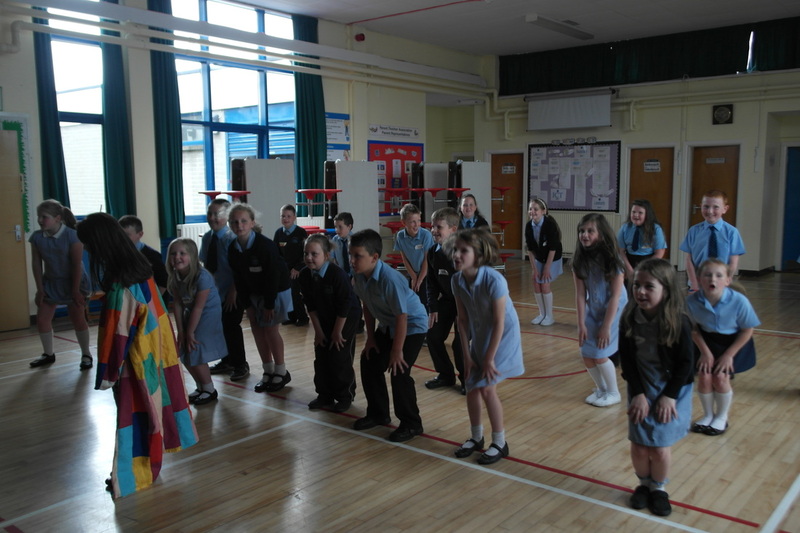 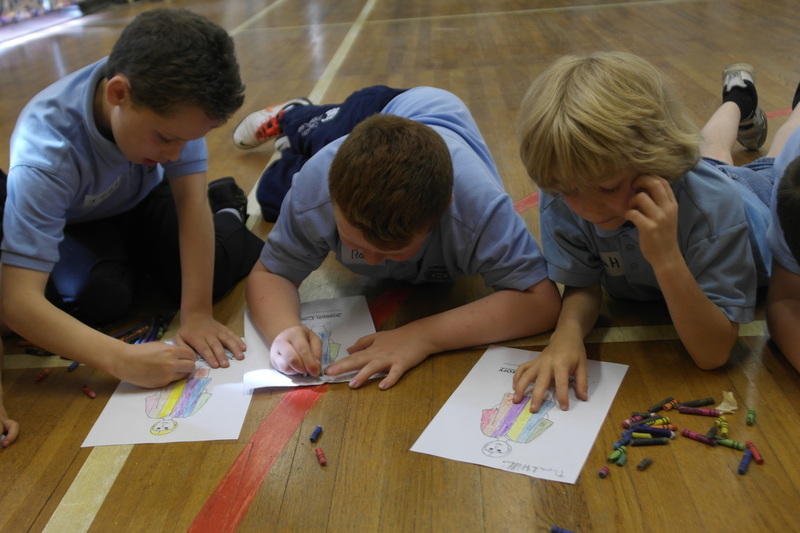 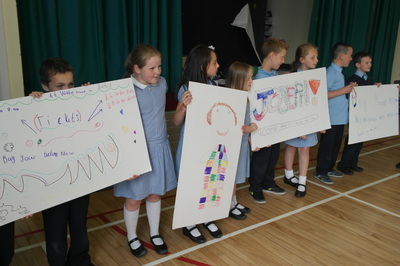 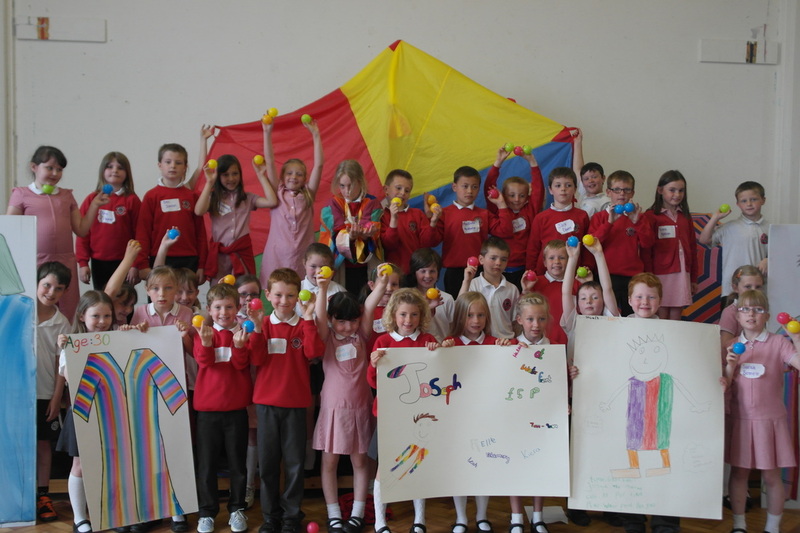 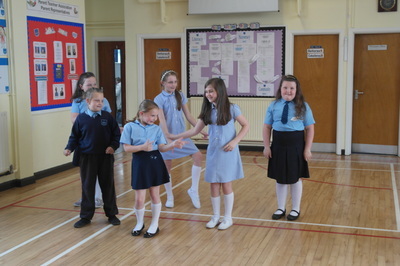 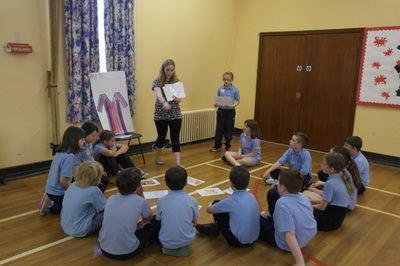 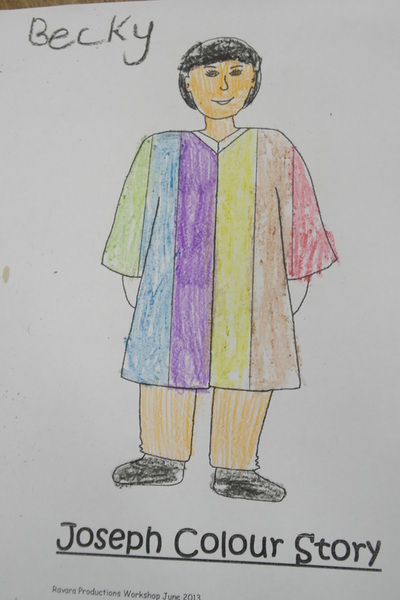 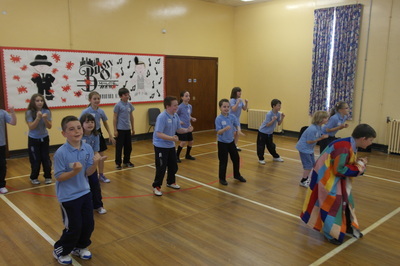 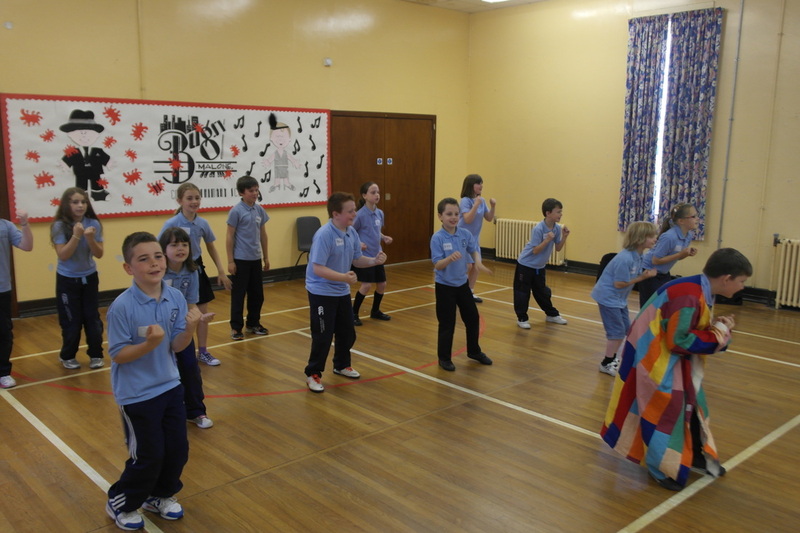 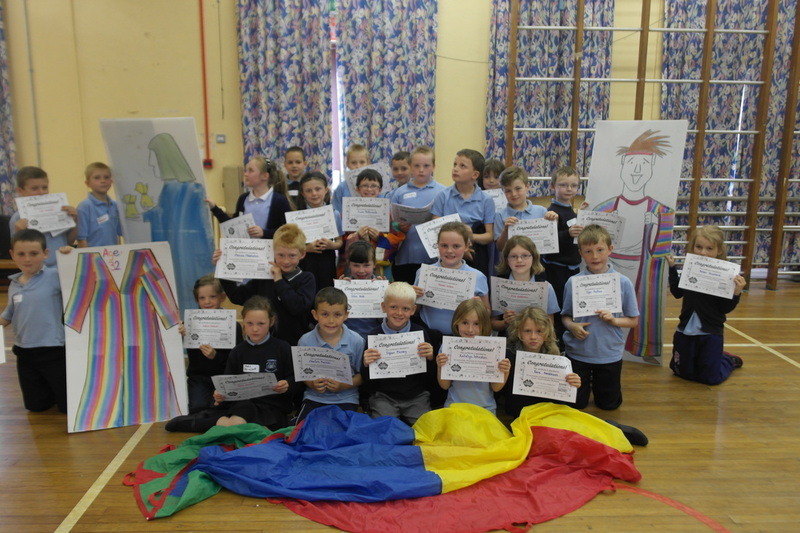 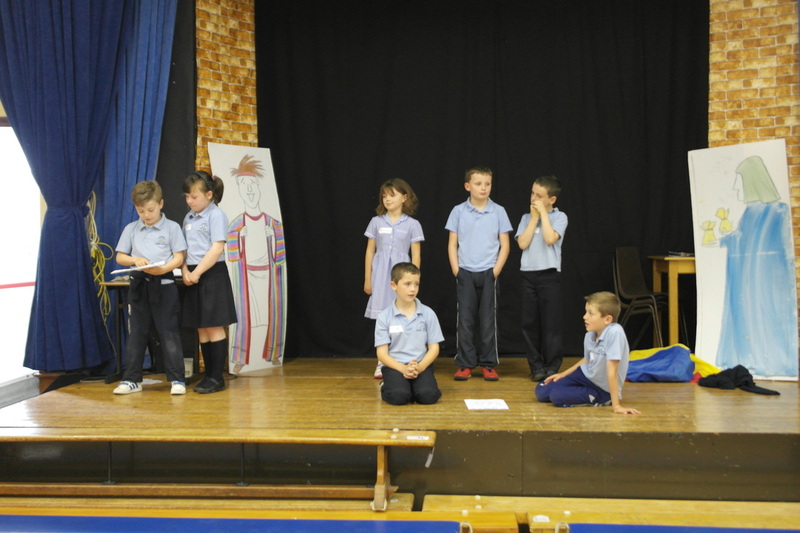 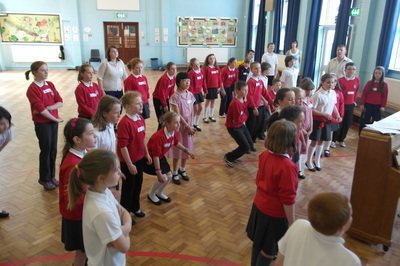 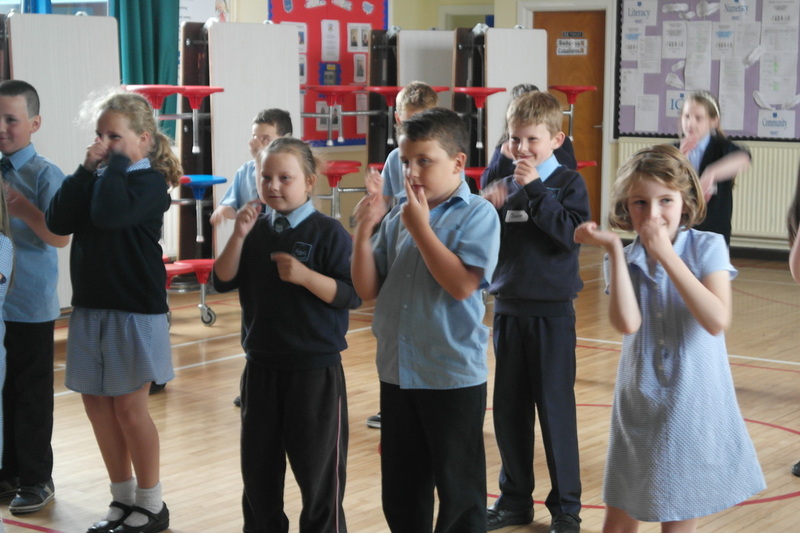 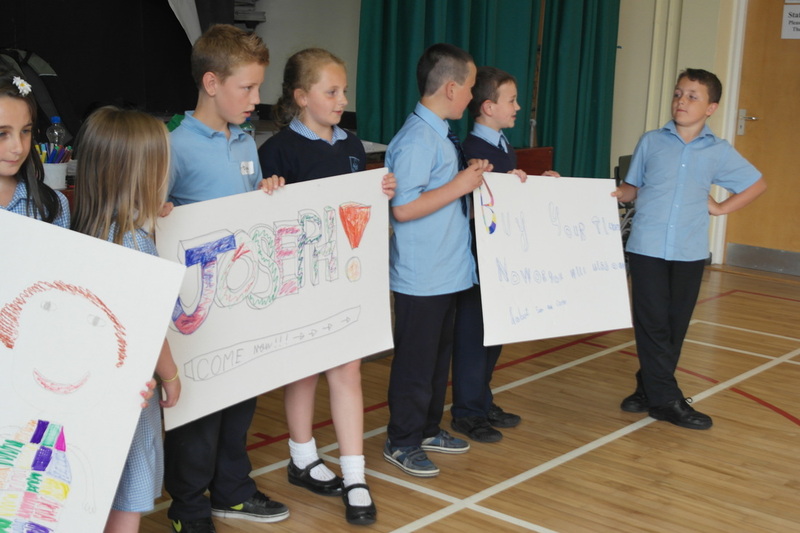 After the timeline, we looked further at some performing activities, this including; creating an advert for Joseph’s coat (encouraging consideration of costing, descriptions, jingles, design and acting) and learning and performing a basic dance routine, staging and singing of “Go Go Go Joseph”. 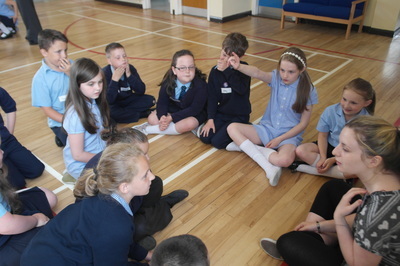 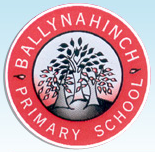 The feedback for the sessions from pupils, teachers and head teachers was phenomenal. 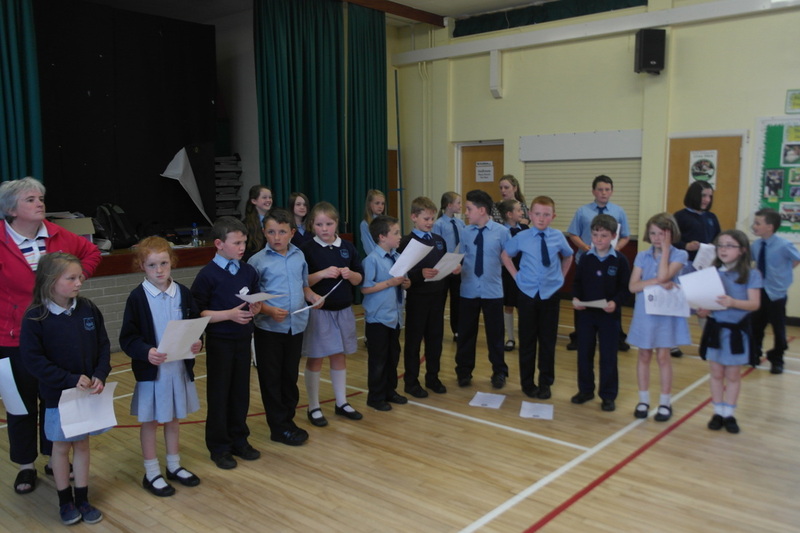 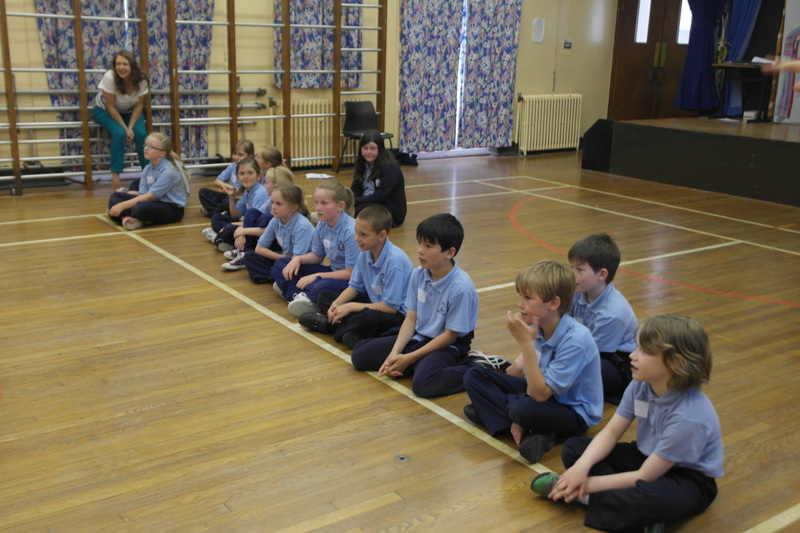 The school choir workshop was led by our Musical Director, and assisted by a minimum of two other facilitators. 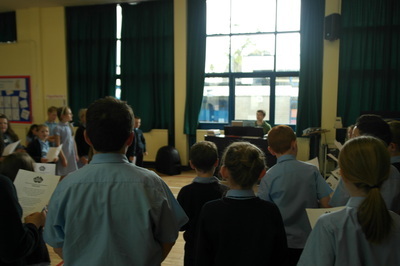 The workshop was designed for schools senior choirs and looked at a number of different voicing exercises and techniques. 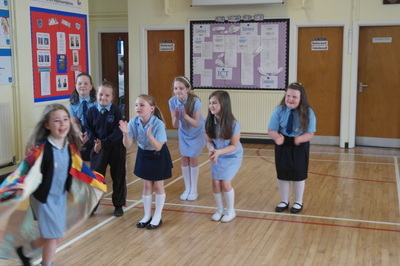 The senior choir pupils engaged in activities exploring projection, breathing, posture and articulation. 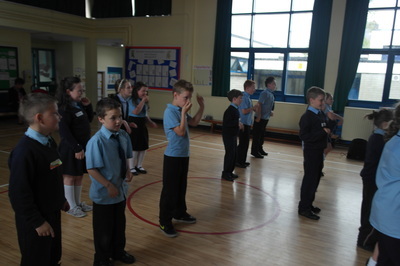 They also learned further about the role of the conductor, learning common gestures and methods, while getting their own opportunity to conduct a small group of singers. The session finished with learning a song from the musical, and learning some performing qualities, generally to give a feel of how we work at Ravara Productions, encouraging them to explore drama and music further, whether it is with us or another organisation. Again it was very pleasing to receive such fantastic feedback from their workshop from choir teachers and pupils alike. 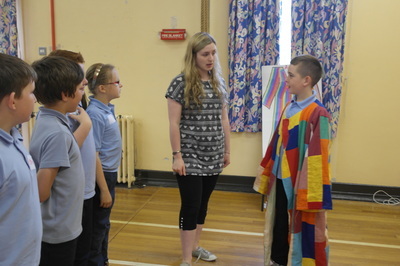 A number of our cast members and choir members for our 2013 summer production of “Joseph and the Amazing Technicolor Dreamcoat” came from the schools were we ran our workshops, this being very encouraging and evidence in itself as to how successful the project went!